There is a widespread misconception that permissible IRA investments are limited to stocks, bonds, mutual funds and CDs. A self-directed IRA allows investors to capitalize on a broad range of investments such as real estate of any kind, including multifamily, mortgage loans, tax liens, private placements and much more. 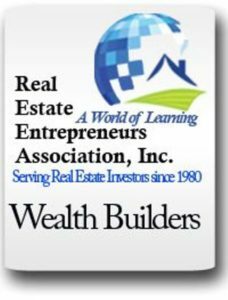 Wealth Builders Real Estate Center welcomes Larissa Greene of Advanta IRA who will discuss the types of retirement plans that can be self-directed, the types of investments permitted within a self-directed plan and what to avoid when investing through your retirement account. Network with other investors and learn how you can invest in Real Estate and other alternative assets without paying taxes.